The best way to advocate for abused and neglected children is to become a volunteer guardian ad litem! Richland County CASA ( Court Appointed Special Advocates) is our local organization that manages all of the volunteer GAL’s in Richland County. This is one of best and most direct pro bono opportunities you can have while in Law School. You will be appointed by a Family Court Judge to investigate, advocate and monitor a case. Family Court judges depend on the words and actions of the guardians. Often they are the only people following the law and visiting the child. For older children the GAL is often their voice. Don’t hesitate to come by and talk about any issues or questions you may have. 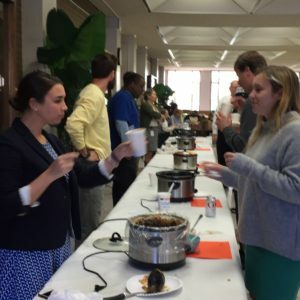 If you miss this opportunity to volunteer it may not come around again until next Sept.
For several years the Law School community has come together for a Chili Cookoff to support the efforts of Richland County CASA. The proceeds from the $5/person fee is donated to them to help fund extras for their volunteers and the abused and neglected children they represent. Bring your hot and bubbly crockpot of goodness on March 5th at 12:30 to the Perrin Lobby. The Cookoff part comes from the results of the ballots that each attendee gets with their $5 “donation”. The Hottest Chili, the Most Interesting Ingredient Chili and the Best Overall Chili are the three categories. Everyone wins but just three get a trophy! Just not a good cook? You can do your part by spreading the word, making a lunch date and eating the chili! CASA Training Starts in 2 weeks! 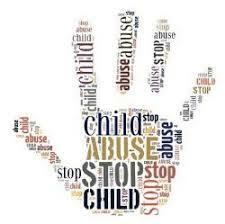 The news is filled with stories about children being abused and neglected! This is not a big city issue but a national one and hits SC daily. There is no way to prevent every incident but it is a proven fact ( not fake news!) that having an engaged, well-trained and caring guardian ad litem can make a huge difference once a child enters the child welfare system. The GAL or CASA ( Ct. Appointed Special Assistant) in SC is a VOLUNTEER! That means you and me. The first step is to attend training! 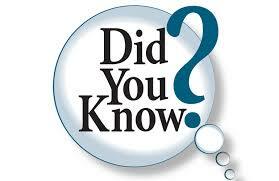 Richland County CASA has made it very easy for you to attend training. They are conducting it in Room 389 over a series of 6 evenings from 5:30-8:30 starting on Jan. 23rd. Have class until 6ish? Not a problem, we have scheduled the training to be recorded by Panopto so you can catch up… but you do need to complete an application and other forms by the time training is over. Interested in making a real difference in the lives of children? THIS IS THE BEST WAY TO MAKE EFFECTIVE CHANGE!